On behalf of admin of JML Law, A Professional Law Corporation posted in Car Accident on Saturday, Jun 30 2018. Those of you who do not live in a cave have surely heard about the ketogenic diet, which is also commonly referred to as the “keto diet.” You may not know everything about this diet, or if the ketogenic diet is even worth the hype, but you should definitely learn about the diet’s one very surprising and bizarre side effect. In a nutshell, if you are on the keto diet – or any other low-carb diet, for that matter – you could be charged with driving under the influence even if you were completely sober during the DUI stop. But before we let our car crash attorney Riverside from the JML Law explain the link between DUI and the keto diet, it is important to understand what makes the ketogenic diet so popular in California and all across the U.S.
What is the keto diet, and how does it work? The keto diet has gained momentum in recent months, even though this diet has been known to dieters and dieticians alike for many decades. 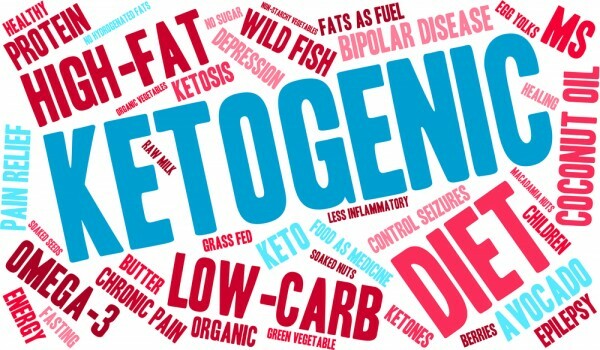 Long before the ketogenic diet became the mainstream dieting trend in America, doctors had used to recommend this diet to patients to treat such medical conditions as diabetes, Alzheimer’s disease, some types of cancer, and even epilepsy. As you may have guessed by now, the keto diet has become tremendously popular lately because it can help you lose weight… while eating a high-fat diet. It may seem unthinkable to some, but the diet low in carbs, high in carbs and with moderate protein intake can actually help you lose the pounds, because this unique ratio changes the way our bodies utilize energy. According to dieticians, the abundance of fat in this diet is converted by the body into ketone bodies and fatty acids in your liver. Given that the diet is low in cabs, and your body is running low on glucose, the body will use these ketones for energy. But the vast majority of people following the ketogenic diet do not realize that the keto diet could get them in trouble with the law. “Wait, is the keto diet illegal in California?” you may be wondering. It is not, but driving under the influence of alcohol is. You see, these ketone bodies have a chemical composition identical to isopropyl alcohol. This does not sound good already, right? Wait until you hear this. “While isopropyl alcohol is not the same as ethyl alcohol, which is consumed by our bodies through alcohol beverages, DUI breath tests (Breathalyzer) cannot tell the difference between isopropyl and ethyl alcohol,” explains our car accident attorney in Anaheim. So even if you were perfectly sober when a police officer stopped you, the ketogenic diet may make you appear impaired, which will prompt the officer to perform a DUI breath test. And that is where you get into real trouble. But does it mean that there is nothing you can do if you are charged with DUI even though you were simply following the keto diet for weight loss or other health benefits? Not at all. Fortunately, you can hire a Riverside car accident attorney from the JML Law who will help you establish that you were completely sober, and mount the “alcohol mouth” DUI defense, proving that you became a victim of a false DUI arrest because of the keto diet. Speak to our lawyers at the JML Law and get a free consultation today. Call at 818-610-8800 or fill out this contact form.